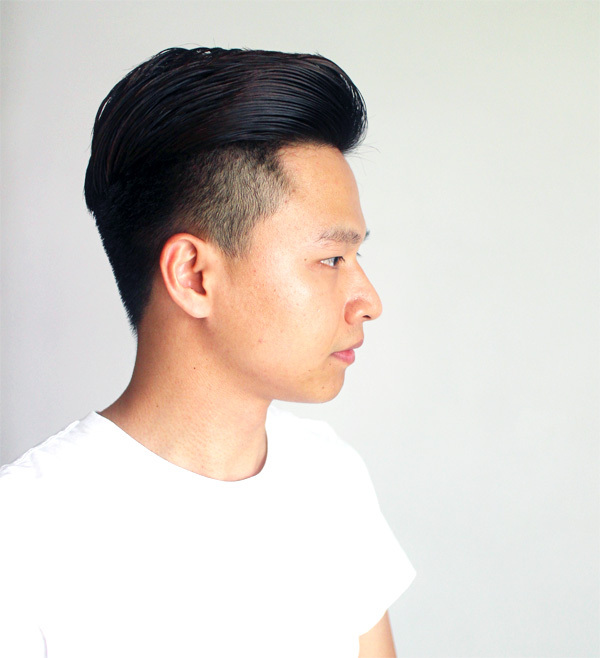 I love slicked back + undercut hairstyle because it’s a perfect combination of old and new. 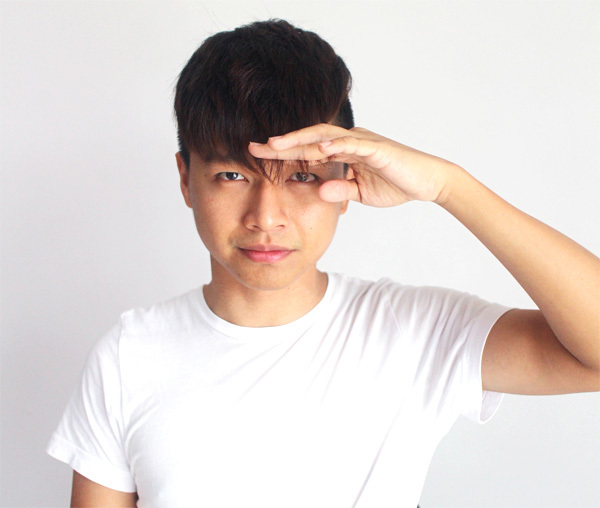 I’ve been wearing this hairstyle on and off since last year, especially when I ran out of new hairstyle idea haha (whoops, now that you know). 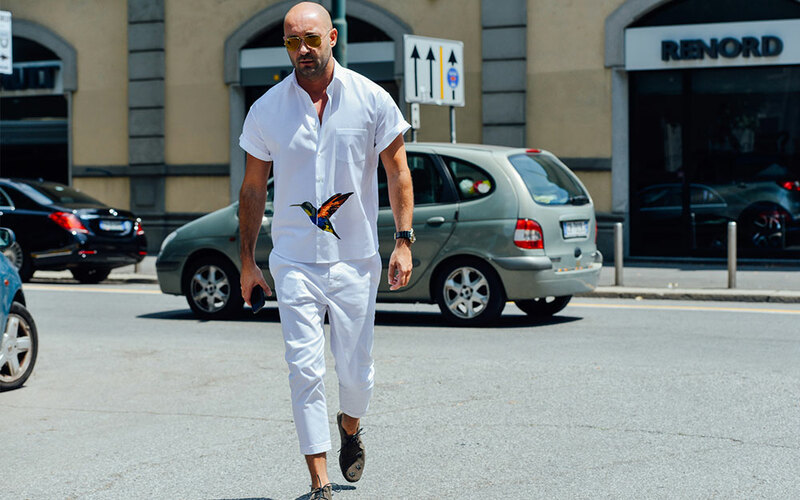 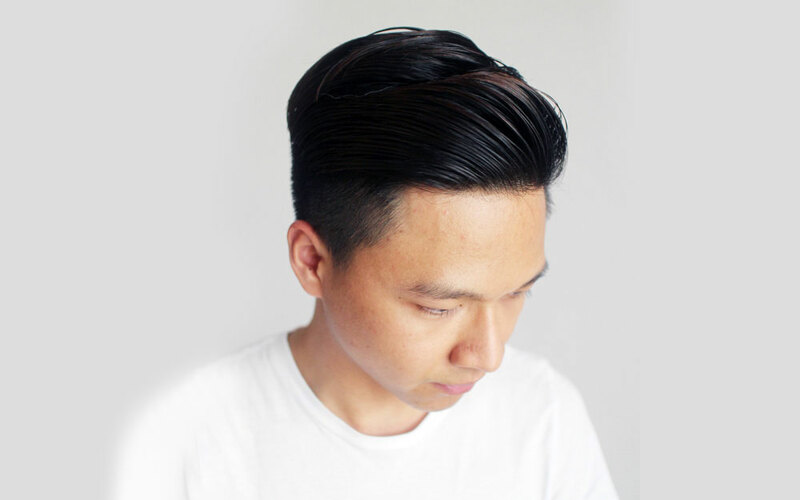 It’s becoming a “standard” hairstyle nowadays, similar to how David Beckham’s fauxhawk used to be in the early 2000s, and the center-parted hairstyle in the 80’s. 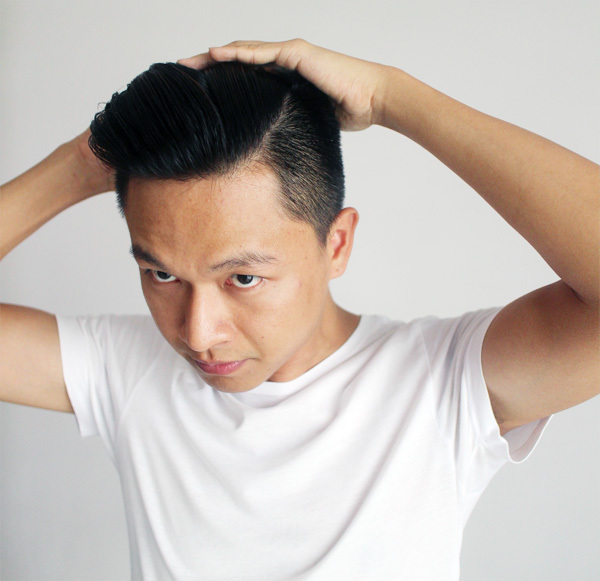 It took me some time to actually figure out how to style a slicked back hair, and things changed when I discovered pomade (best invention after tissue paper) and a thing or two about certain requirements. 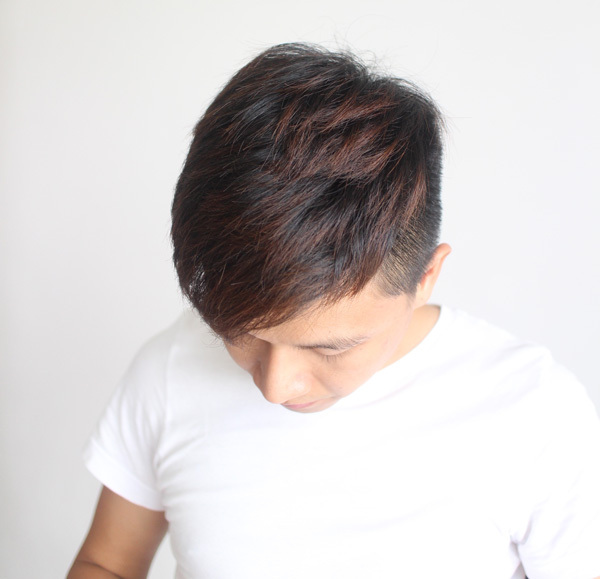 For best result, blow dry your hair before you style. 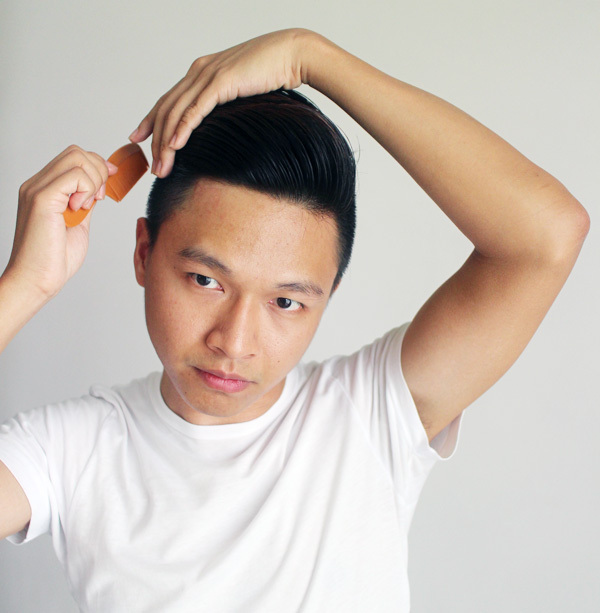 Be generous with your pomade. 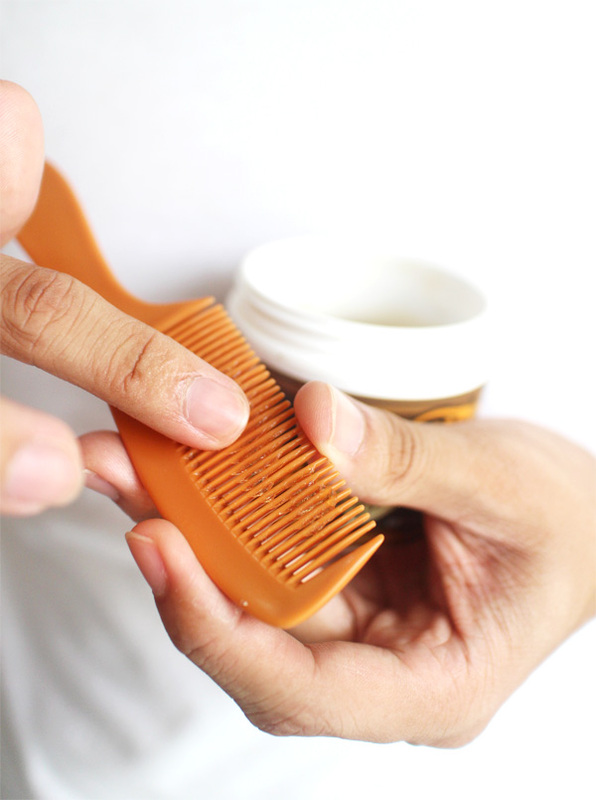 You’ll need a lot to keep the shape throughout the day. 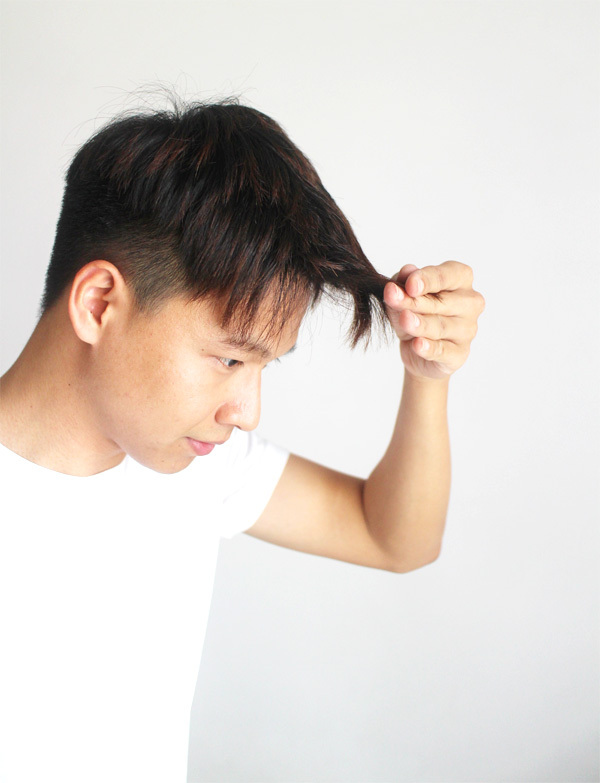 Keep your hair at the top part long. 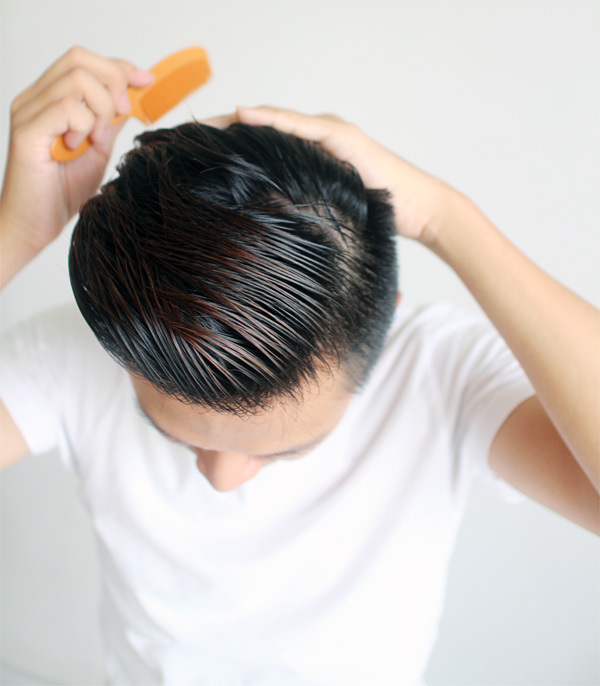 It’s easier to slick your hair back if it’s long. 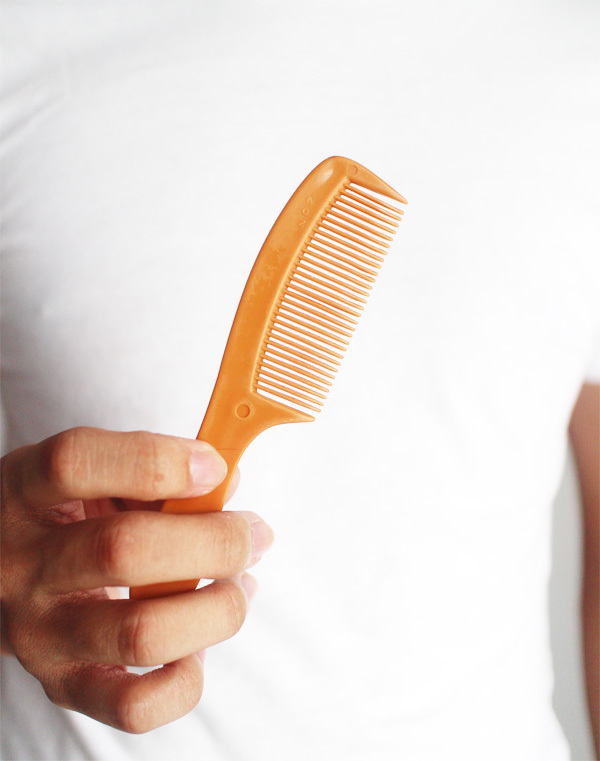 Bring a comb with you so that you can re-style when needed. 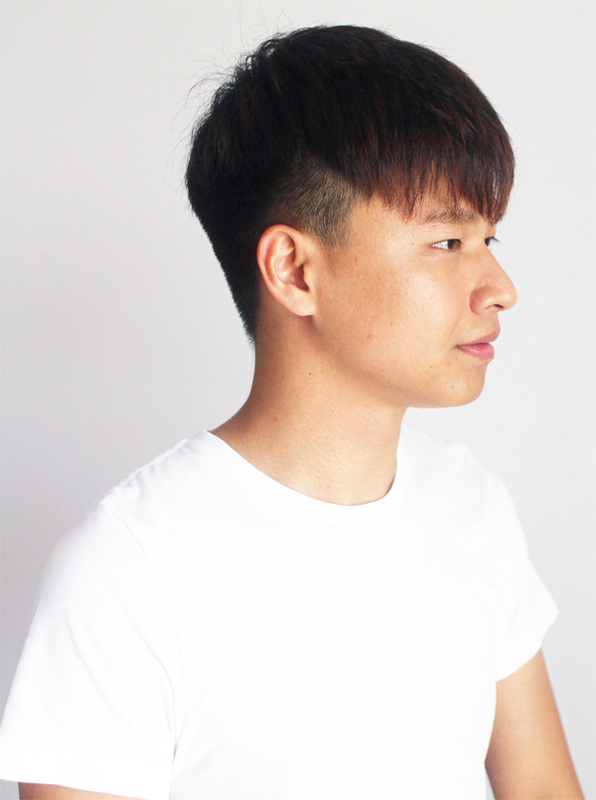 Giving you an idea how long the bang/fringe is. 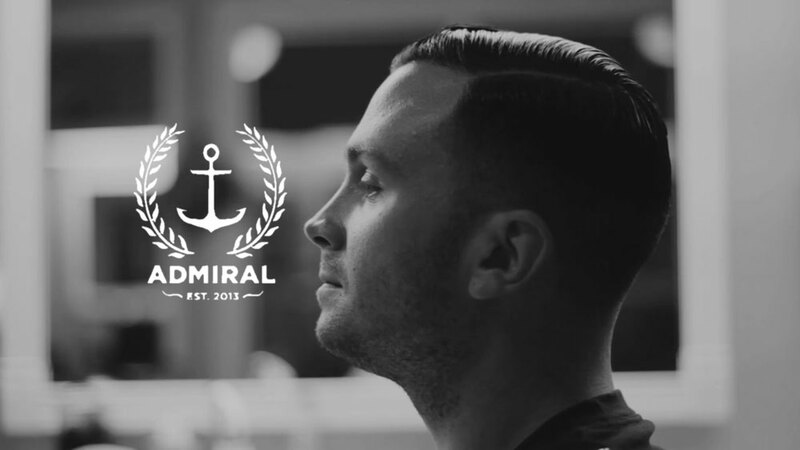 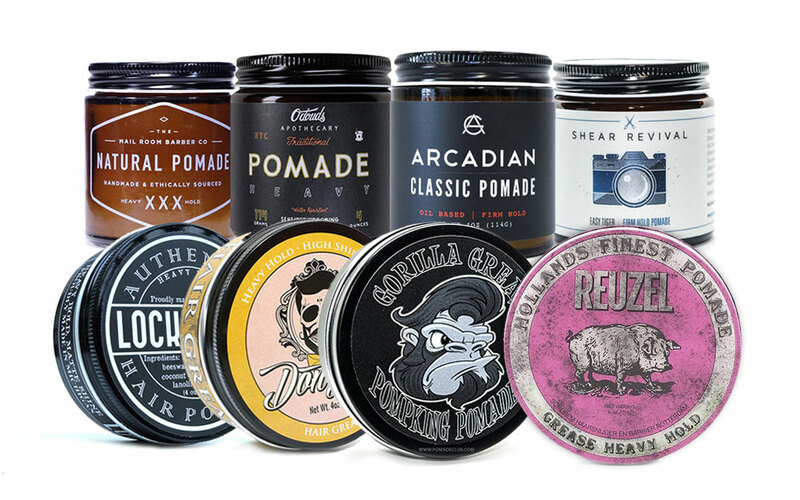 You’ll need pomade (read their reviews here). 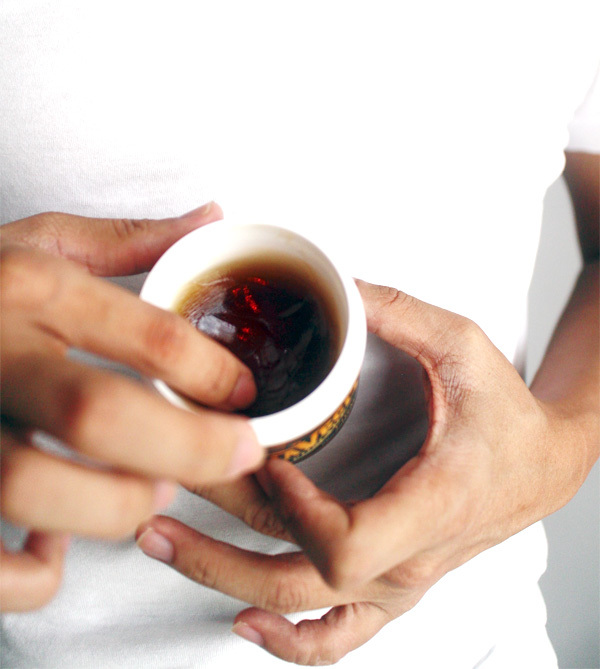 It’s always better to use more. 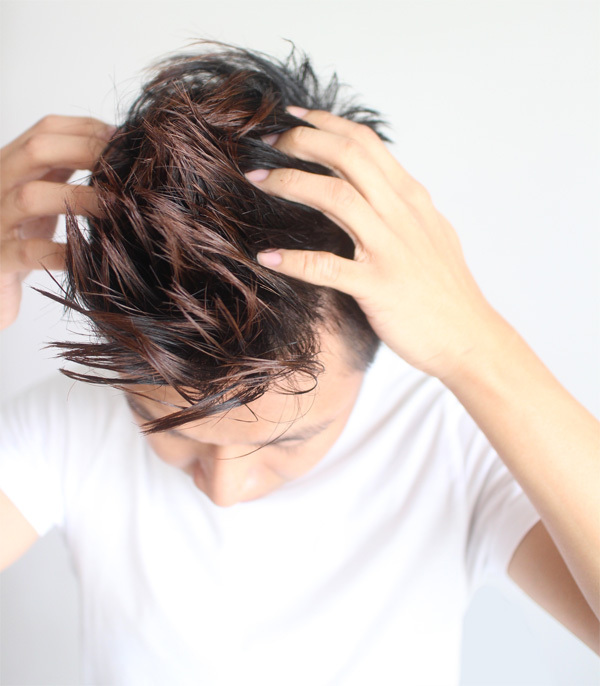 And make your hair STAND UP! 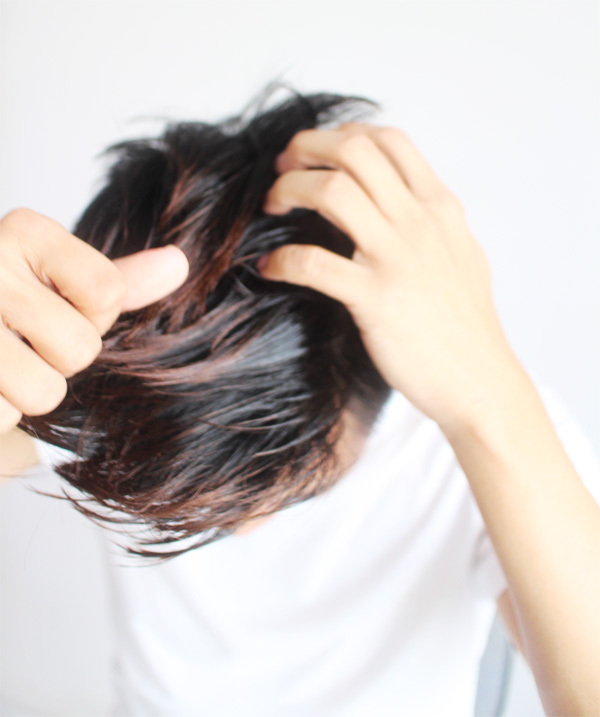 And you’ll look like me. 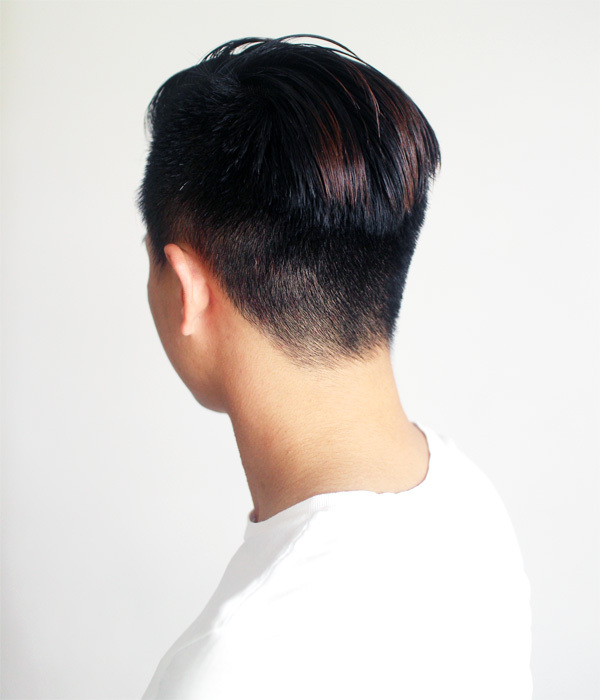 I used to always forget about the back part. 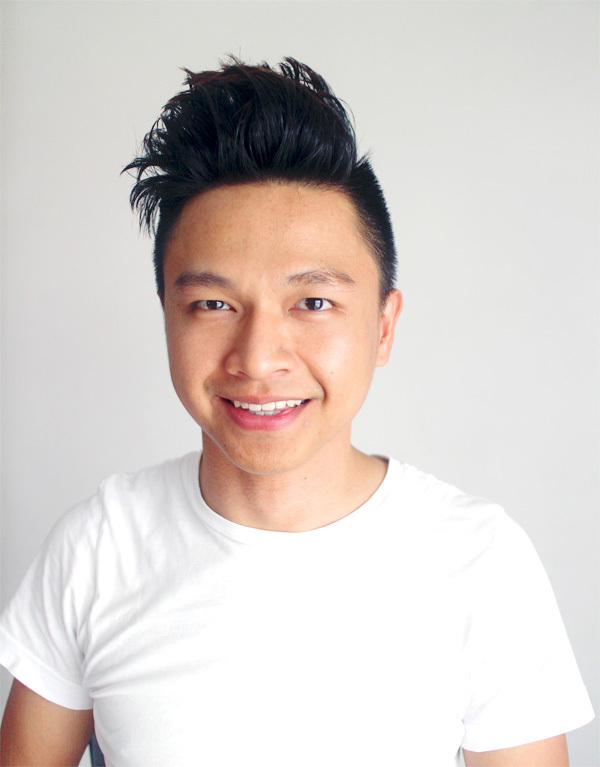 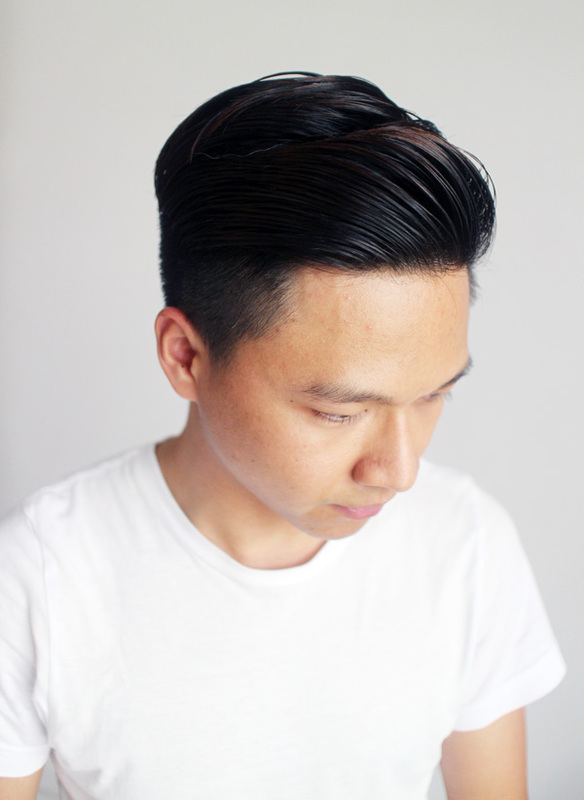 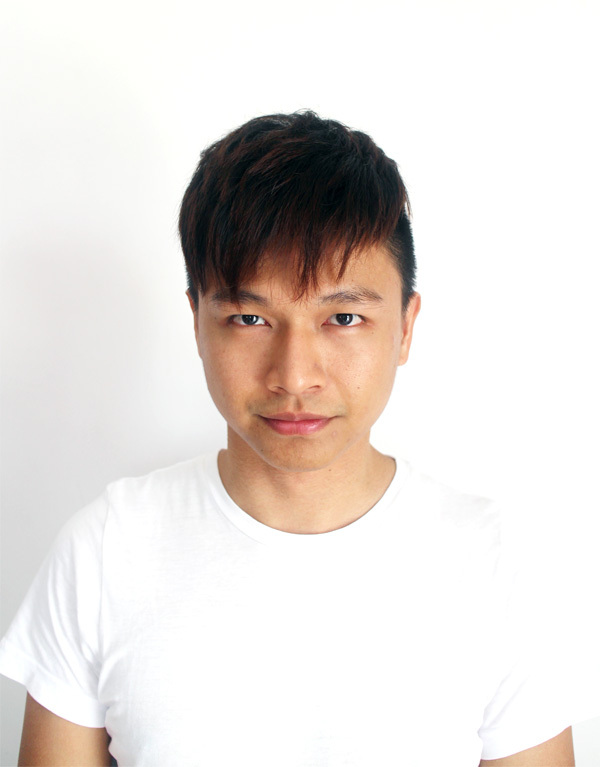 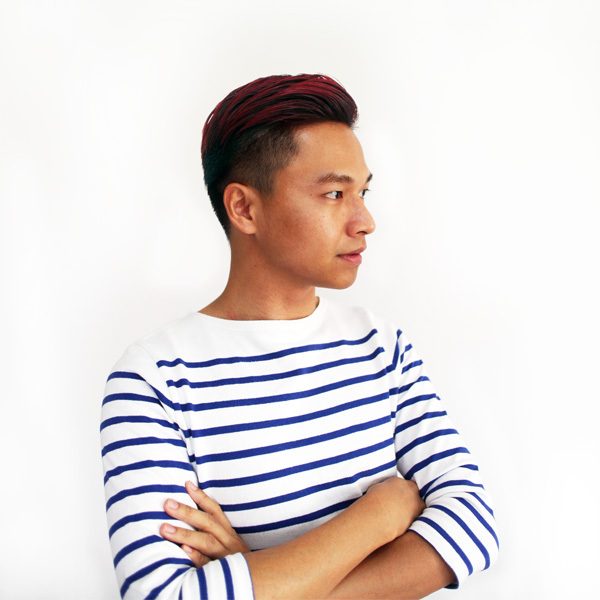 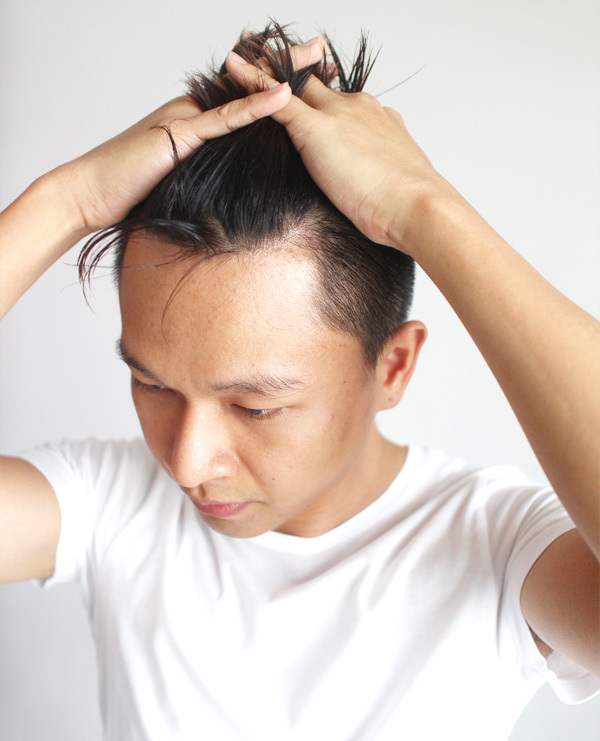 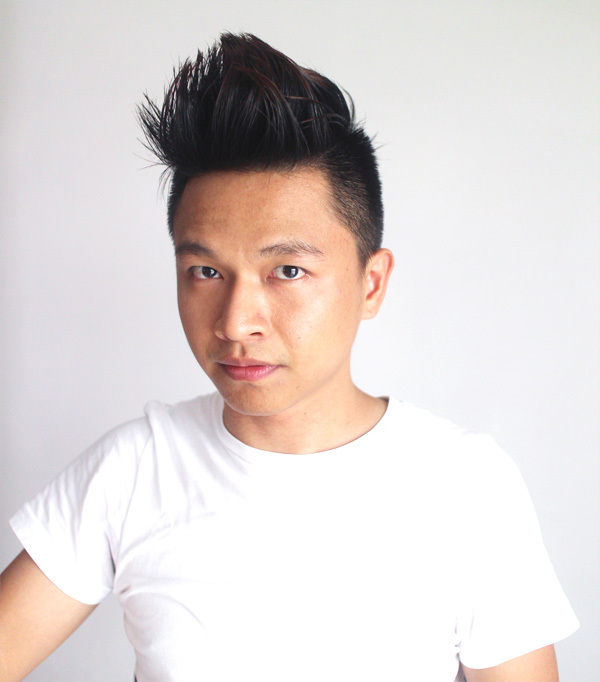 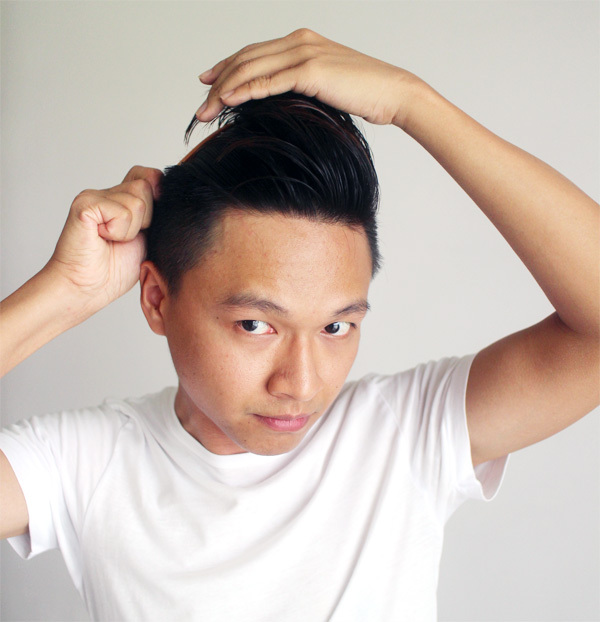 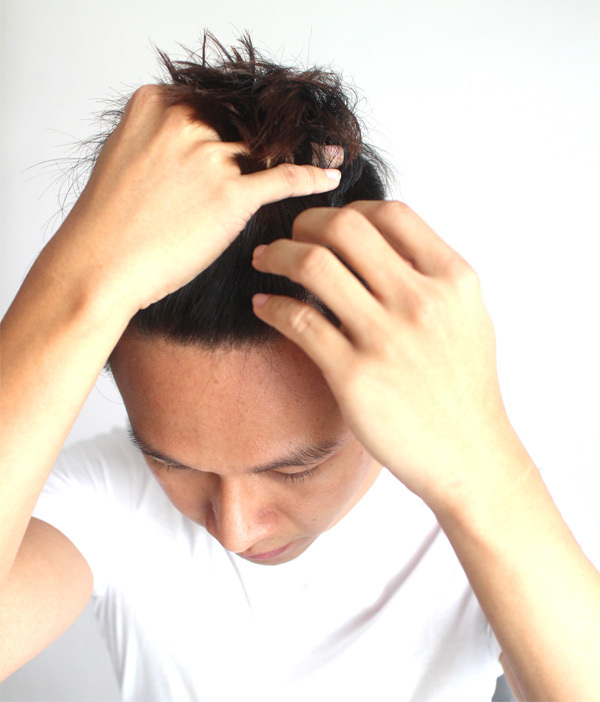 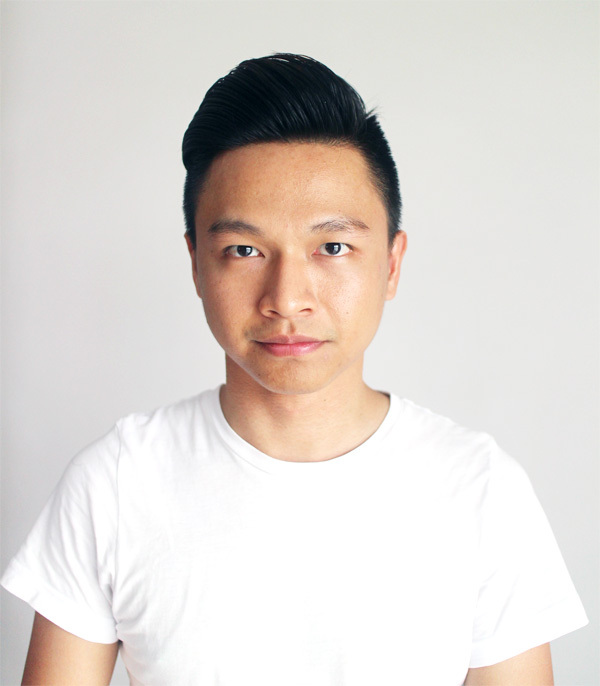 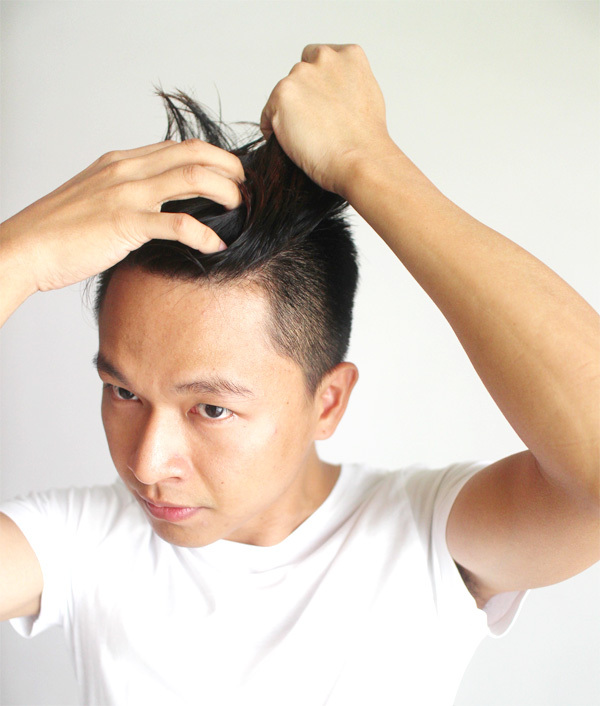 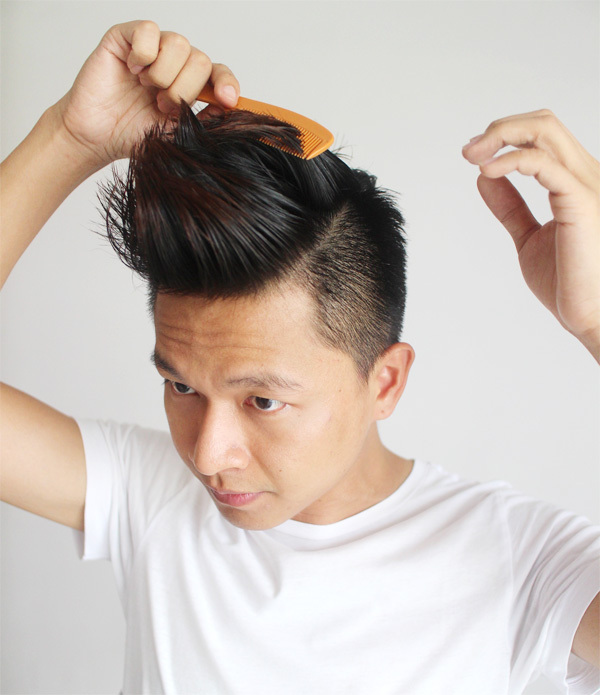 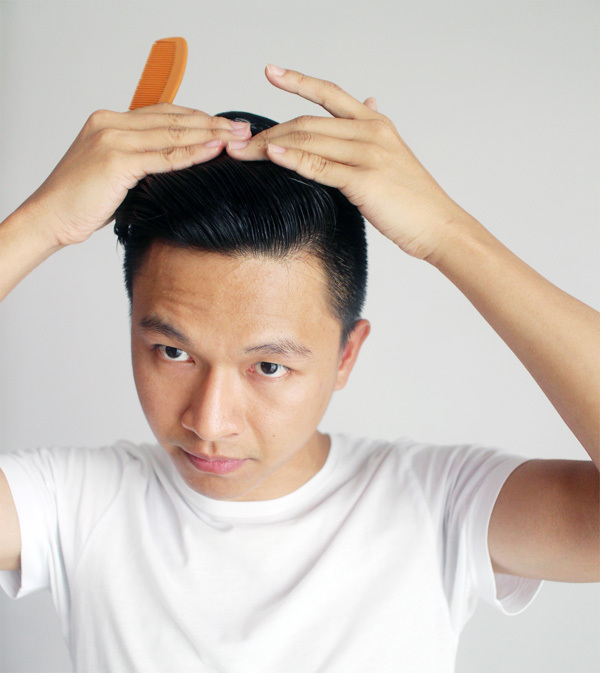 After your hair is covered in pomade, it’s time to start combing. 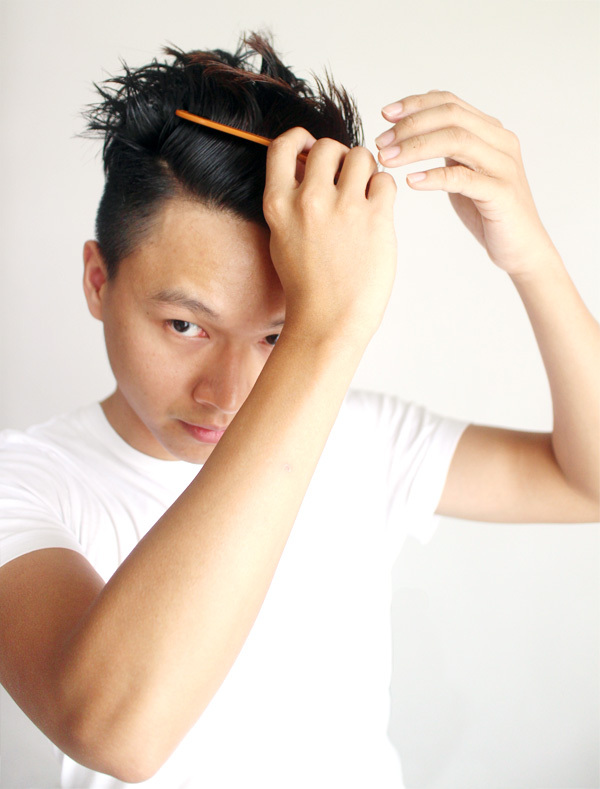 What I’ll do: comb my hair in a way that makes all of them stand up! 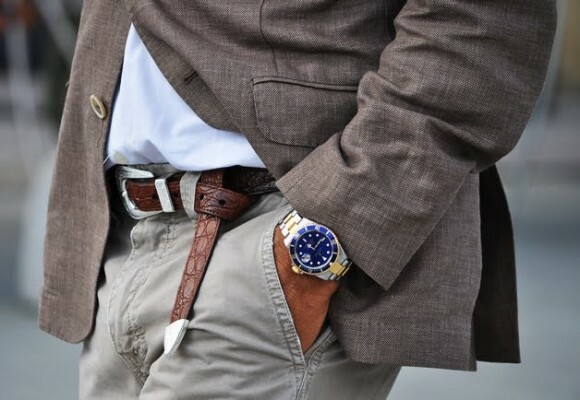 An unusual sight you don’t get to see everyday haha! 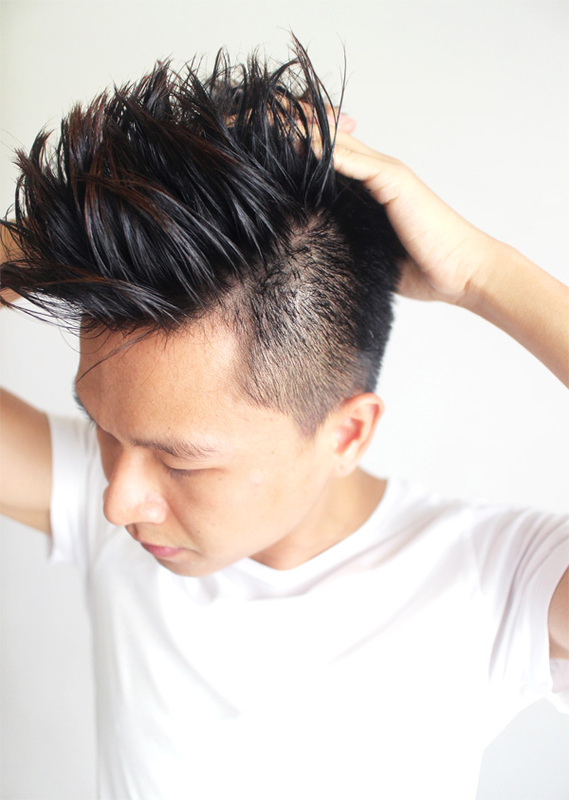 Passable as a mega fauxhawk. 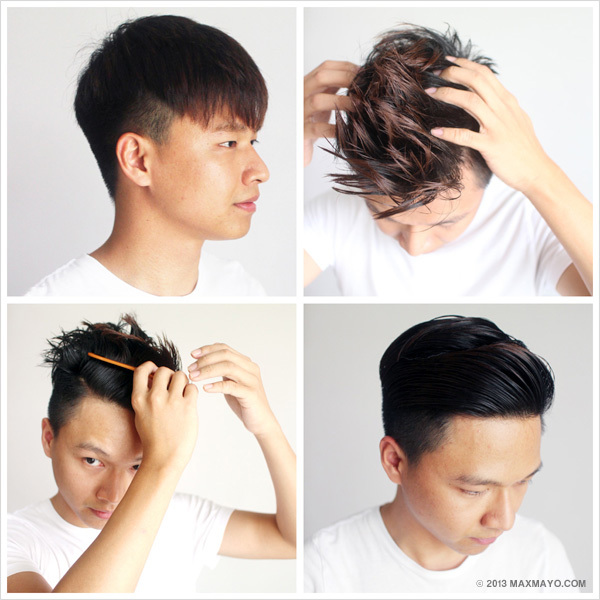 It’s time to start back-combing your hair into the final shape. 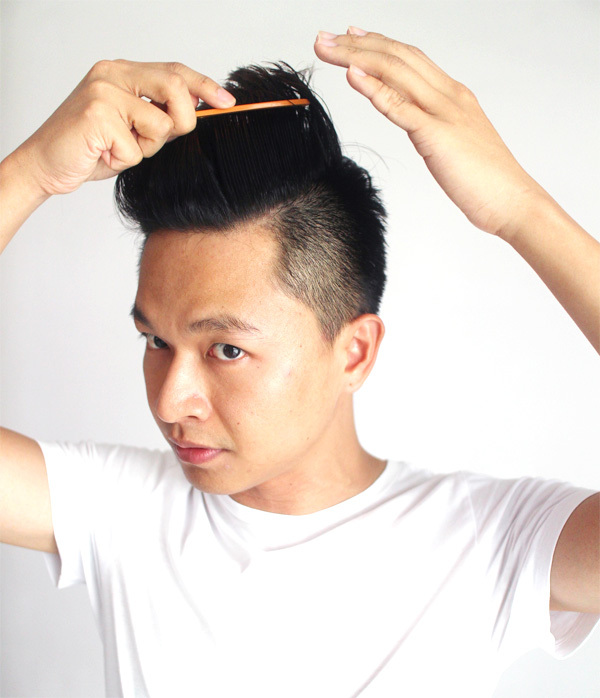 Try not to “squeeze” the top or the pompadour part too much in the process. 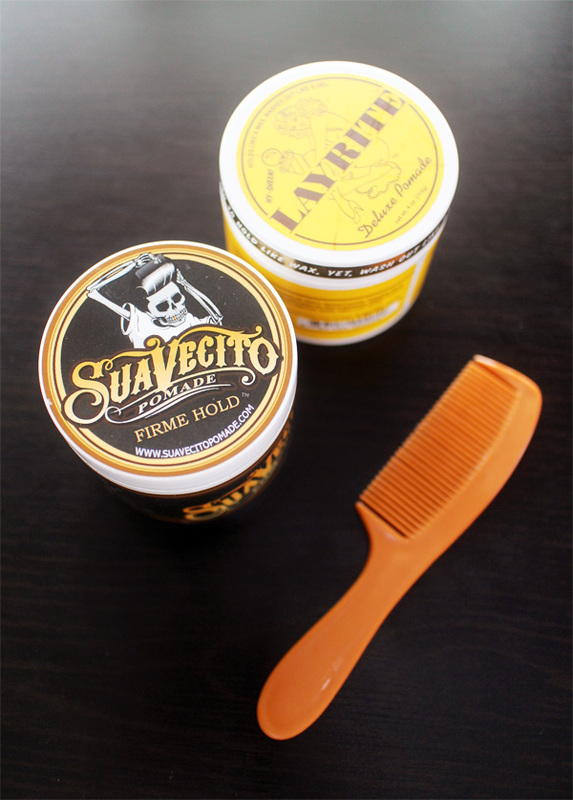 Spread the pomade across your comb teeth. 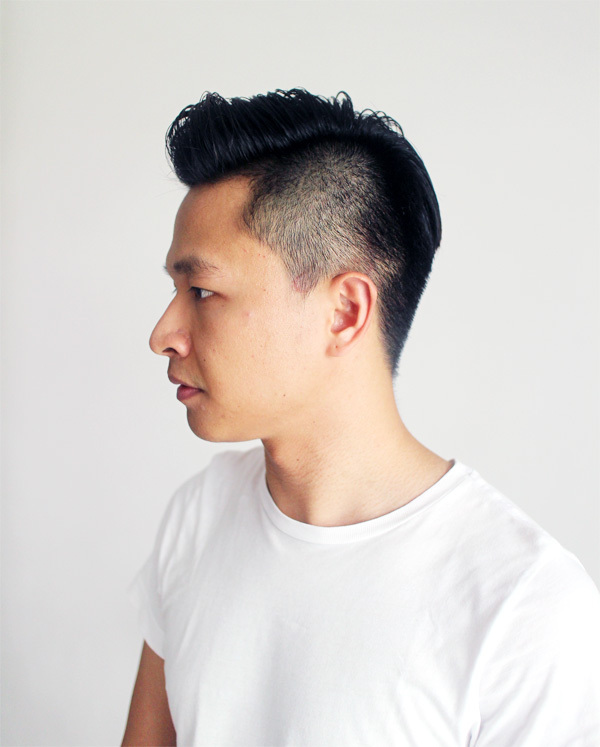 Re-style the parts that need more pomade. 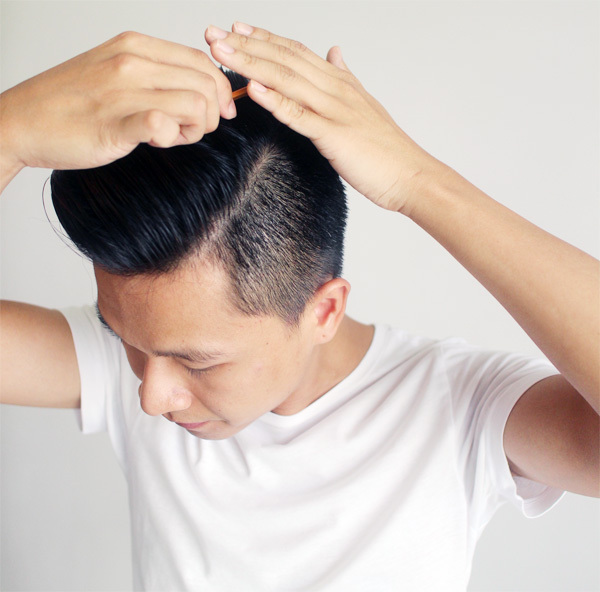 For example, the pompadour. 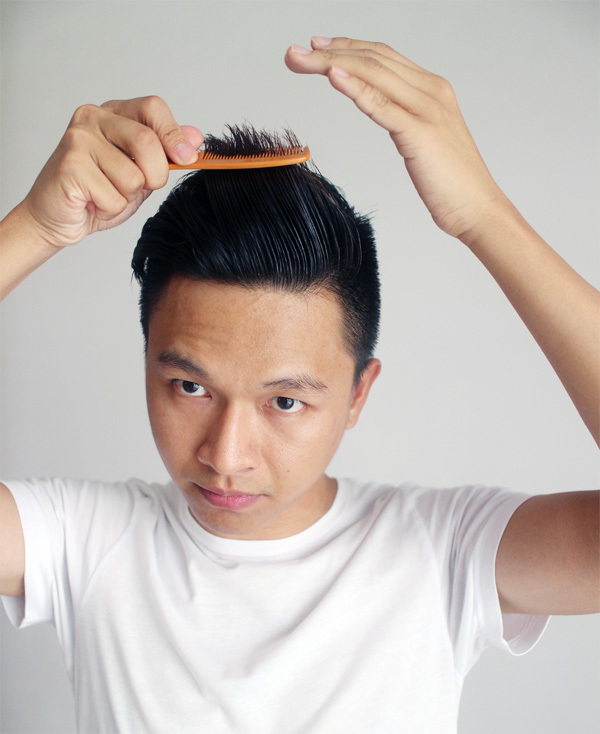 If you need a taller pompadour, comb your front hair all the way up, and then gently “bend” it down with your comb or your fingers. 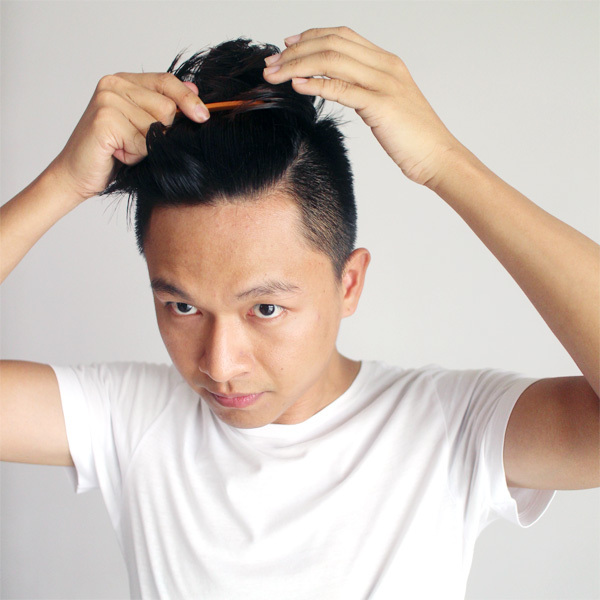 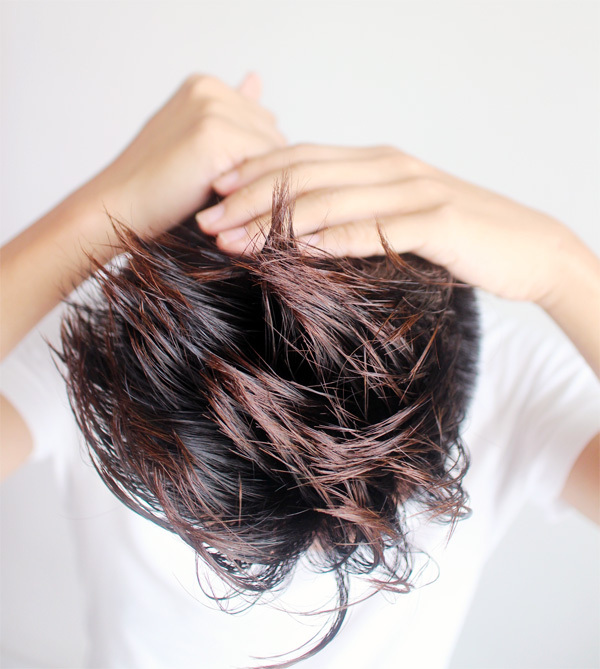 Check all parts of your hair and apply more pomade and re-style if needed.